In the words of Tim Atkin MW It’s hard to think of a wine that Byrne’s don’t stock. But the breadth and depth of the range is what makes this place so special. If ever there was a wine shop created by wine lovers for wine lovers, this is it. Andrew and Philip are brothers who have grown from childhood within the wine trade, guided from an early age by their father, Michael. You could say that wine is in their blood. This is fine wine sold by merchants with over 130 years of experience in a most unpretentious manner. We have a down to earth approach to the great wines of the world. 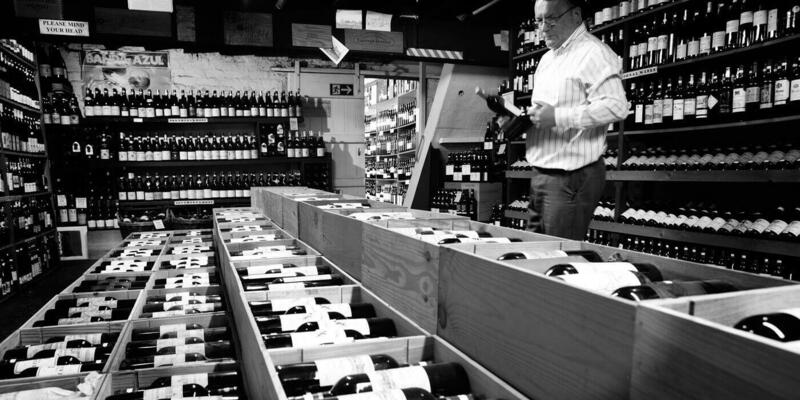 The huge range of great name wines we hold in stock allows you to browse at leisure through our cellars in a relaxed atmosphere whilst always knowing that expert advice is on hand if you need it. In our labyrinth of underground cellars wine is held in perfect condition, you will find all the great names and many new ones you have yet to discover. We hold large stocks of old vintages and regularly explore the vineyards of the world for the wine world’s up and coming stars. For many years we have championed small growers who are now winning awards and accolades of their own. We do not produce a regular wine list, so please don’t ask us. Feel free to call us mavericks, but unlike many merchants our stock changes almost daily. As a fully independent merchant we can allow our sense of adventure free range and buy what we want when we want it to be able to pass an unrivalled choice and the keenest prices on to our customers. Whether you want a special bottle for an occasion, an individual cellar plan designing or fun wines for a barbeque, we enjoy helping you choose.